Here’s the latest delicious recipe from the Makuwa Kuwa Restaurant, compiled by the one and only Chef Munya, Executive Chef at the Victoria Falls Safari Lodge. 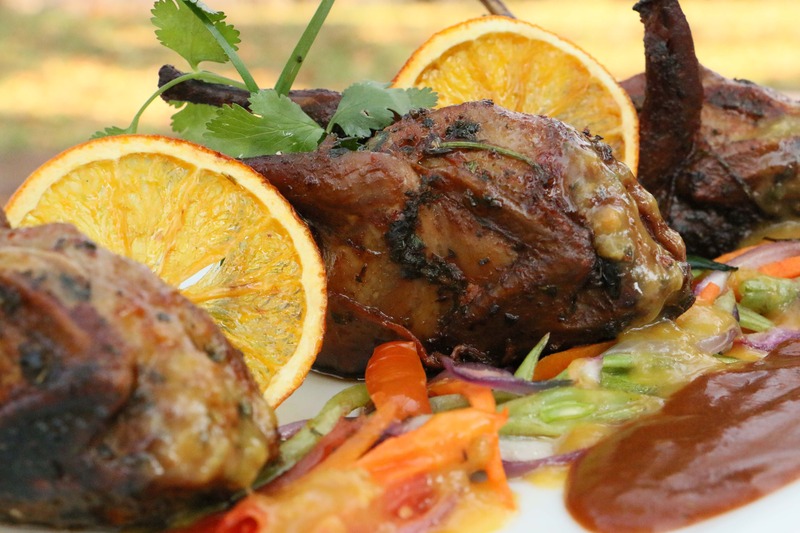 If you have visited the Victoria Falls Safari Lodge before, you will know how amazing Munya’s tasty food is, and we love giving you the opportunity to make these recipes for yourself. We would love to hear your feedback on how it goes. Ingredients: Potato and nutmeg puree, vegetables, black cherries and orange sauce.